The latest buzz word that’s making noises in the IT world is Google’s Hummingbird update and we at GBIM are here to enlighten you a little about it. Little, because currently very little is known about this development, and enlighten because we consider it as our duty. If you have seen an actual humming bird, the first thing you will notice about it is its speed. And so very aptly when Google launched the Hummingbird algorithm on its 15th anniversary, they decided to name it Hummingbird. Because this new algorithm is just that – Fast and Precise. Google says that Hummingbird focuses on ranking information on a more intelligent understanding of search requests. How many times have you typed a keyword in the Google search engine and it has given results that you might have never imagined? Hummingbird is aimed to tackle this problem. The previous search algorithms by Google, simply paired keywords in documents. But Hummingbird helps the search engine in understanding the association between concepts. The need to launch Hummingbird by Google can also be attributed to the fact that more and more users are typing full questions in their searches or engaging in conversational searches. And it becomes more and more important to provide accurate and fast results to the users so that they do not switch to other providers. So, Hummingbird is also without a doubt Google’s commercial and competitive strategy to stay in the game. 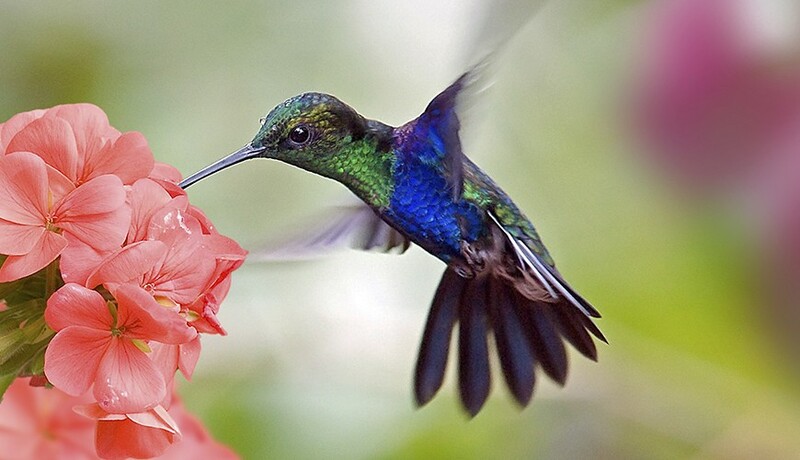 Hummingbird is set to accelerate the movement from Google keyword search to Google semantic search. So its major advantage should be that it will develop an even and fair playground for publishers. The search word bidding war can be easily dominated by big brands and companies, but semantic search results will only enable niche website providers to gain a better rank if their content is precise, no matter how small they are. So basically how Google searches the web will remain the same, but what will change is the way the results are displayed to best suit and enhance the user experience. So, does that mean SEO is over? NO. Google says that if you have been doing what you ought to do from the beginning, there’s nothing you need to worry about. The rules remain the same. You just need to have original and high quality content. All of a sudden Hummingbird cannot convert good content into bad. It just allows Google to process them in new and better ways. We at GBIM have always aimed towards creating original, deep, subject-relevant content on your sites and this will only help to continue generating quality signals that matter to Google. Just like we have braced the Penguin and Panda, we are ready to embrace Hummingbird with open arms and buzzing dedication.